We are so thrilled to be spreading our love of crafting and learning to the rad town of Los Olivos, CA! Come join us as we indulge in some wine and learn the ancient craft of weaving at Zaca Mesa Winery nestled among the San Rafeal Mountains. 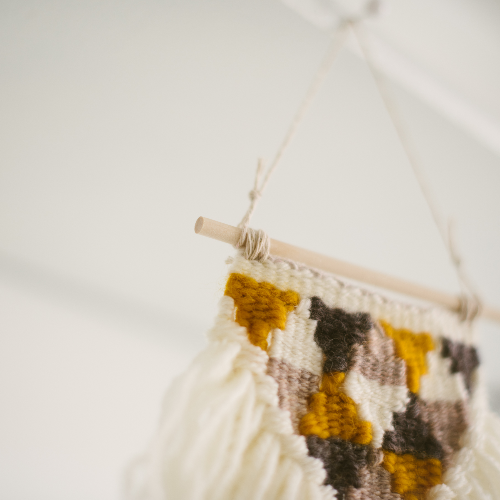 Weavings by Alexa will be teaching another fabulous beginner's class. We are super excited to have the opportunity to watch, learn, and do, as Alexa shares her expertise at this age-old craft of working with natural fibers and creating beautiful works of art for our homes and/or offices. Each attendee will be provided with their very own loom to take home, and an assortment of fibers to work with. We will learn how to make a weaving from start to finish, with the awesome finale of taking home our endeavors. As with all of our workshops, their will be yummy snacking to accompany a glass of Zaca Mesa wine.